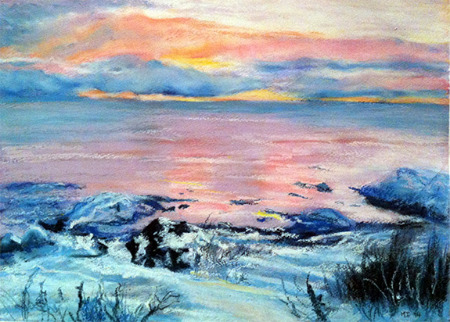 So for today I worked on a sunset in oil pastels on gessoed watercolor paper (15x11 inches). It is based on a photo by a dear Facebook friend. I don't think I did it justice...but will try again in watercolors.